Many CIOs talk enthusiastically about aligning IT with the business strategy, a challenge that shifts with market demands and the CEO's priorities. The objective, however, is much clearer for Walgreens Boots Alliance CIO Abhi Dhar, who in December added digital product management and innovation to his responsibilities. Dhar’s approach is to start the customer and work backwards. Having produced a mobile app used by 1 million consumers daily, he’s now testing Hadoop data processing software to more efficiently manage, and, ultimately, analyze data generated by the company’s myriad software services. Walgreens Boots Alliance CIO Abhi Dhar. The customer-focused obsession has served Dhar well as he's worked his way up the drugstore retailer’s corporate ladder. Dhar joined Walgreens in 2009 as CTO of digital and head of mobile solutions before his promotion to senior vice president and CIO after the company merged with Alliance Boots in late 2014. Dhar assumed command of Walgreens’ digital strategy in December, after the departure of Sona Chawla, CMO and president of digital. Dhar says every IT decision must satisfy the needs of the drugstore retailer's customers. And while most don’t think of batch data processing in the same context as customer experience systems, they are tightly linked at a time when Walgreens is getting a better handle on its growing information. To better manage that volume of data, Dhar is gradually replacing traditional relational databases, with Hadoop clusters that are better at managing text and video data. Hadoop comprises low-cost open source software and commodity servers. “Retail is a narrow margin business, and the fixed costs are huge, so we have to manage our fixed cost down. We've got to get good at any technology that allows us to drive down our fixed costs. The focus I have is on trying to drive a technology footprint that is variable and correlated to the gross margin in my business. So I'm not spending the same amount of money whether we're making less money or money,” Dhar says. Once the Hadoop systems are properly configured to scale across Walgreens’ 8,200 retail stores, engineers will analyze it for insights about operations, logistics and, of course, customers. Replacing long-standing relational databases may seem anathema for CIOs trying to wrap their arms around the digital transformations entrusted to them by their CEOs. But Dhar says ripping and replacing some technologies may be par for the course, if that is what it takes to better serve customers. The Hadoop clusters will help support a significant, ongoing investment in mobile software and platforms. 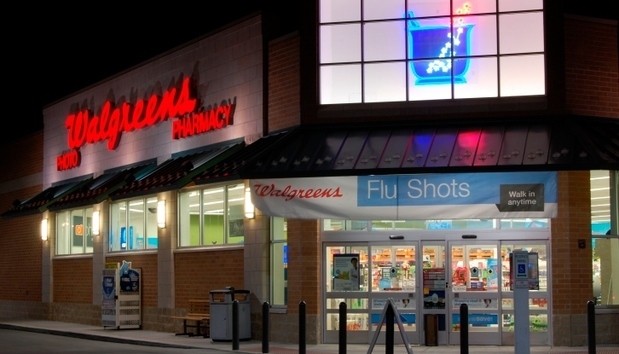 Under Dhar's leadership, Walgreens in 2012 began integrating with third-party software providers to integrate with the company’s mobile application through APIs. Through the app, consumers can print photos, order prescription refills andearn points toward future purchases, services that are enriched through integrations with more than 240 third-party companies. “Whether they use our app or a third-party app, we don't care as long as we have fulfilled them in our stores,” he says. Walgreens also redesigned its mobile app to allow consumers to manage their medication schedules from their Apple Watches, and enabled Balance Rewards members to earn and redeem points using Apple Pay. The company is also testing beacon technology in select Duane Reade stores, offering users of that brand’s mobile app coupons. Dhar says the company is cautiously considering such things as how failing beacons may impact the user experience. Walgreens' Hadoop implementation and ongoing mobile technology refinements suggest Dhar's greatest challenge is handling responsibilities that are, at least at some large retail companies, split between CIO and chief digital officer roles. But Dhar says that that every CIO in America, especially in retail, should be a business leader who contemplates how to deliver customer value and remove friction through technology. He says his toughest challenge is luring talented IT workers, which are in short supply, in the Midwest. The company is hiring and cross-training engineers to work with the Hadoop systems. It’s also looking to fill several digital engineering, infrastructure, security and other IT positions. With so many IT startups and the allure of pre-IPO riches in Silicon Valley, why should IT workers joined Walgreens? Dhar points to the popularity of the company’s mobile app, among other factors.